Considering the increased demand for ski resorts in Georgia (by 491% in the period from 2011 to 2018), as well as due to the preparation for 2023 World Freestyle and Snowboard Championship in Gudauri, the main directions of the resort development in the coming years are the construction of new chairlifts, expansion of ski area slopes, and development of the resort infrastructure. 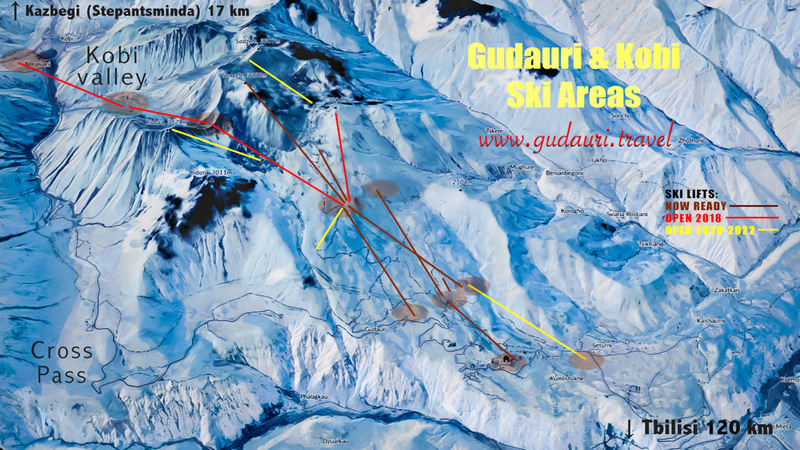 What’s new will be there in the Gudauri ski resort (Georgia) next winter? This summer, an unprecedented transformation of the most favorable Georgian ski resort – Gudauri – has begun. Three cable ways will be fully renovated and three new ski-lifts will be built in the new ski area on the Northern slopes of the Kobi valley in record time by the next winter. Starting from the next year, tourists from Russia will be able to easily ascend from the Kazbegi region to the Gudauri ski area with stunning views of the five thousand meters high mountain Kazbek on a gondola, regardless of the climatic conditions and state of the Cross pass. Georgia has announced ambitious plans to transfigure its most popular resort, Gudauri, over the next few years in preparation for the 2023 World Alpine Skiing and Snowboard Championship. The relevant decision was announced at the Council of the International Ski Federation meeting (FIS), which was held in the Greek Costa-Navarino. 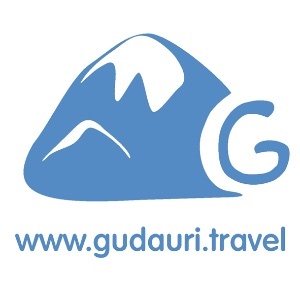 In the next five years Gudauri will expand three-fold and will meet the current worldwide trends of the developed and modern resorts. 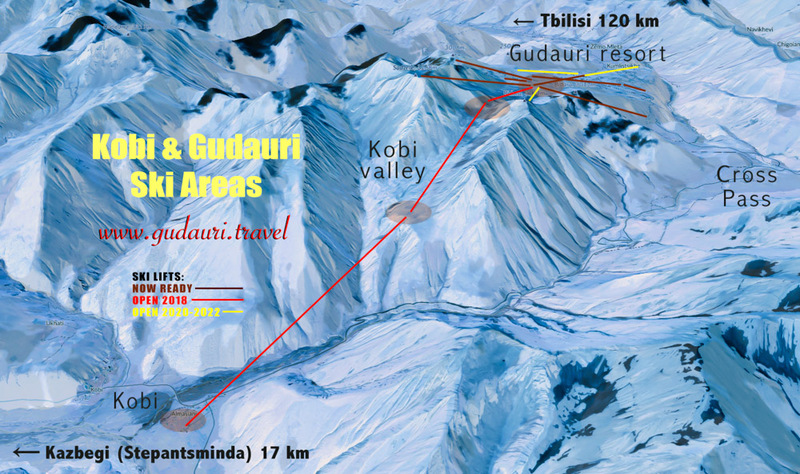 The center of the resort has already been moved to the New Gudauri area, where the Georgian company RedCo is already building a dozen new mountain chalets and hotels, including those of the world famous brands, and access to the resort from Russia will become much easier thanks to the construction of Kobi-Kvesheti bridges and tunnels network, bypassing the Cross pass, that often presents an insurmountable problem for tourists coming by car from the North due to the weather conditions and avalanches. Apart from the installation of new cable ways and modernization of old ones, the project also includes the installation of artificial snow-making system on all routes, construction of pedestrian zones, parking lots, shopping centers, pharmacies, banks, network fast food cafes, entertainment spots and playgrounds, kindergarten, skating rink and outdoor heated pools. We hope that the early snow this year will not stop the construction work on the installation of new cable ways in Gudauri, and that the snow on August 9th this summer was only a whim of nature.